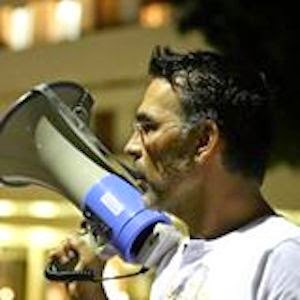 Moti Leybel, the Israeli human rights activist, finds himself in hot water again. Last month he faced a trial for his right to freedom of expression, and next week he will face yet another trial. Moti is being harassed because he is trying to expose the injustices of the Israeli welfare system and what appears to be the cruel decisions welfare officials are making to separate children from their parents. In his desire to protect the vulnerable, he has stood up to be counted, alongside two particular women this week. Ora Moore Joseph is a young woman who was desperate for a child. 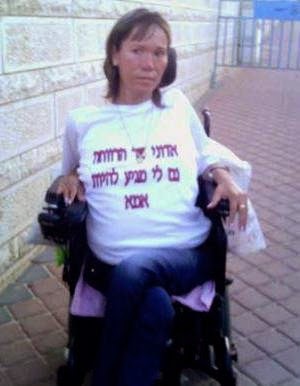 Her only problem was being wheelchair bound, so she could not have a natural childbirth. A distant relative offered to help and have a baby for her. They went to Thailand, and filled out all the necessary forms there. Returning with her surrogate to have the baby in Israel, Ora informed the welfare authorities of her actions and her desire to adopt the baby. She received no replies from the welfare office, so assumed all was well. When Ora’s baby was born the social workers arrived at the hospital to take the baby for adoption. Ora begged them, pleaded with them, explaining she had paid for the surrogacy, and also asked if her sister could adopt the baby. She thought perhaps her disability was the problem. Her child was taken away from her on the basis of a report which declared that Ora didn’t have the same genetics as the child, which disqualified her from adopting the child. The authorities refused her pleas and took the baby shortly after birth. Ora fought and tried everything she could to have her baby returned, and finally turned to Moti Leybel after two years of fruitless efforts. Iris Cohen was a contented mother of three daughters. Her marriage broke down, and she was bringing up her children alone, aged six months, four and six years old. Her ex-husband wanted to make life a little difficult, so made several complaints to the welfare authorities challenging Iris’s ability to take care of her children. It doesn’t take many false complaints to turn a life upside down in Israel. In fact over 80 per cent of complaints are false. One day Iris travelled to the kindergarten/school to collect her girls, and they were gone. They had been removed from the school and subsequently separated and put into adoption. Iris has been bereaved for four and a half years, unable to see her children, only having photographs sent twice a year, which bear no resemblance to her daughters. She has been unable to fight the system and is the shadow of who she once was. Iris turned to Moti Leybel and begged him to expose the problem. His work as a human rights activist is to lead the struggle of the vulnerable in society against the welfare authorities, who need little reason to remove children from their parents and place them in both government and private institutions. In this street lives the main adoption social worker named Orna Hirshfeld. She disconnects children from their parents and I am living proof from Dimona. I am a bereaved mother to a living child. The child trafficking by the welfare authorities must end, and Orna Hirshfeld is hiding behind the closed doors of the court that is defending social workers and helping to cover up their crimes. Moti is currently prevented from protesting on behalf of these women, though there are many hundreds, if not thousands more who ask for his personal help. Israel continues to disintegrate from social injustice. Men are disconnected from their children daily; mothers who struggle alone live in the fear of their children being taken at any moment and pushed through a very profitable system of institutions and unnecessary adoptions. The bailiff system in Israel has nearly two million alleged debt cases, with unofficial figures showing a quarter of those people are prevented from leaving Israel. It is an illusion for those outside the country to assume Israelis spend their time discussing politics and the conflict around them. Millions of them are desperately trying to keep their families together, earn a living with up to three jobs, and find an affordable roof to live under. The funds which should help Israelis are being spent in all the wrong ways. In the last few weeks, scandal after scandal has been rocking the country, from corrupt public utilities, political parties, religious scandals and most of all from the welfare system which is doing very nicely from the USD 1 billion dollar family breakdown industry. If Moti Leybel is gagged next week, who will continue to be the voice of the people? It is the turn of the West to expose these actions against men, women and children. The cycle of despair needs to stop and soon.